Served iced or hot, tea is a refreshing beverage no matter the season. But beyond refreshment, tea also offers plenty of health benefits. It’s rich in antioxidants. It can help you lose a small amount of weight if you pair it with a healthy diet and exercise. It can even help reduce cavities and plaque. Heart health tea is even supported by numerous studies showing its cardiovascular benefits. Here, we’ll take a look at some of those studies and also give you some tips on how to choose and brew teas optimal for heart health. In a previous post, we talked about how tea drinking should be a daily habit instead of only when you’re sick. We also mentioned trying different types of tea to get specific health benefits (e.g. oolong for bad cholesterol levels and green tea for cancer prevention). As for heart health tea, it’s been found to lower cardiovascular events according to a recent study published online by The American Journal of Medicine. Compared to non-tea drinkers, people who sipped at least one cup of tea daily experienced less plaque buildup in their arteries. The study also showed that compared to coffee drinkers, tea drinkers have a 29 percent lower incidence of heart attack, stroke, and death from heart disease. 6,508 middle-aged and older adults participated in the study. Researchers adjusted for factors such as age, body weight, and smoking habits, which might skew the results. The thin membrane that lines the inside of the heart and blood vessels is called the endothelium. Cells in the endothelium control vascular relaxation and contraction by releasing specific substances. Endothelial cells also release enzymes for blood clot control, immune function, and platelet adhesion. One way to predict strokes and heart attacks is to test for endothelial dysfunction, which could result from diabetes, high cholesterol, smoking, and high blood pressure. Endothelial dysfunction also precedes atherosclerosis, an abnormal thickening and hardening of the arterial walls. As we age, endothelial function naturally declines. But one study showed that older Chinese people (ages 60 and above) don’t have progressive endothelial dysfunction. In fact, their arterial function is comparable to people in their 20s. One reason for this finding is the inclusion of green tea in traditional Chinese diets. Within 30 minutes of consumption, green tea has an acute beneficial effect on endothelial function, most likely due to its being rich in flavonoid phytonutrients. Being overweight puts you at greater risk to develop coronary heart disease. When you’re significantly above your ideal weight, your body cannot efficiently circulate blood or manage your fluid levels. Aside from heart disease, being overweight increases your chance of developing diabetes, certain cancers, and sleep apnea. If you’re not severely obese, you don’t need weight loss surgery. Lifestyle modifications such as eating right and working out are your first steps to losing those extra pounds. But if you want to boost weight loss, you should consider drinking eight to 10 cups of green tea a day. This is based on a study conducted by researchers in Penn State’s College of Agricultural Sciences. The 16-week study used mice on a high-fat diet, giving them decaffeinated green tea extract and putting them on a regular exercise regimen. Final results show a 27.1 percent reduction in body mass, as well as 36.6 percent average reduction in abdominal fat mass. The researchers believe that similar results could be replicated in humans. Consider drinking a heart health tea, such as green tea, if you want to reap the cardiovascular benefits associated with healthy weight management. As we’ve said before, there are over 20,000 different teas in the world. But don’t worry. We’ll narrow them down to the best teas for heart health. One of the most common tea types, green tea has a yellow-green color when brewed and tastes fresh and smooth. If you opt for a higher-grade green tea, you get to enjoy a more complex flavor that’s both light and delicate. There’s an art to brewing green tea. If you don’t get the temperature right, you could end up with a tea that tastes bitter. You should also make sure that you consume the tea within a year after it’s been harvested. Older teas can lose flavor. As for heart health benefits, green tea doesn’t just help you keep a healthy weight. It can also help lower LDL cholesterol and triglycerides, leading to a reduced risk of death from heart disease and stroke. White tea comes primarily from China, but you can also get it from India, Taiwan, Nepal, and Thailand. Compared to other teas, white tea is lighter in terms of both flavor and color. In one Spanish study, white tea was found to reverse the damage done to heart cells by adriamycin. This is most likely due to its high antioxidant content. Other benefits of this heart health tea include lower cholesterol levels, reduced blood pressure, and improved blood vessel function. As there are different types of white tea, there’s no one standard way to brew it. A general rule of thumb to follow, though, is to use two tablespoons for light and fluffy leaves and two teaspoons if the tea consists of buds only. What’s great about oolong tea is you get to enjoy different flavors. Some are sweet and fruity, while others are woody and thick. If you like both green and black tea, you’ll definitely enjoy oolong tea. Its flavor profile is right in between the two. 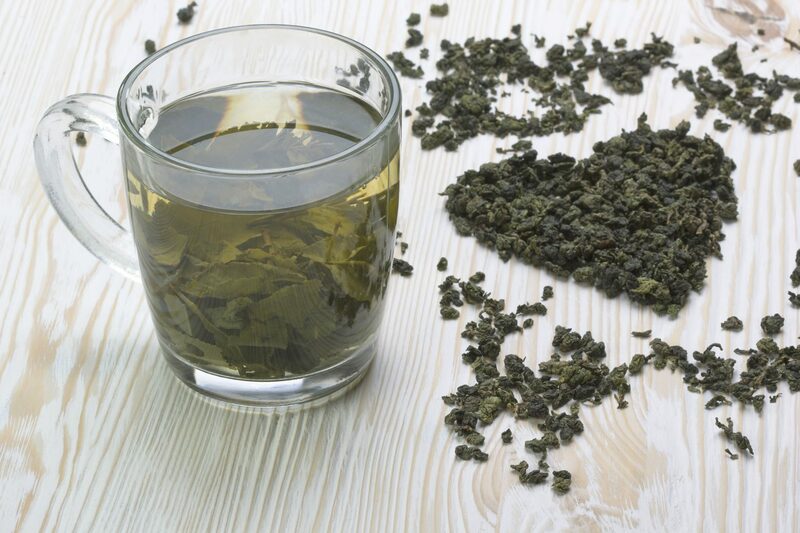 Like green tea and white tea, oolong tea promotes heart health by reducing cholesterol levels. Since it is semi-oxidized, the polyphenol molecules it produces are perfectly sized. This means it’s capable of activating lipase, an enzyme that can dissolve body fat. Looking for the Best Heart Health Tea? You’ve come to the right place. Don’t forget to check our list of tea shops around the globe. Feel free to browse our site to find tea growers, wholesalers, distributors, and organizations. If you have any questions about tea or anything tea-related, don’t hesitate to Contact Us.